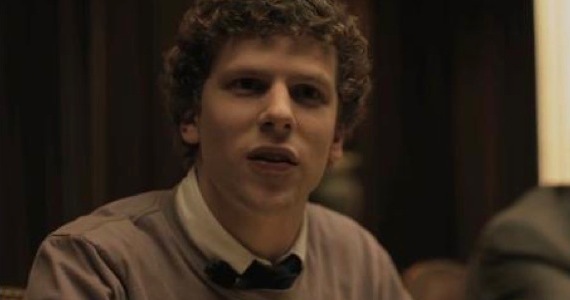 Do not dismiss David Fincher’s The Social Network as simply “that Facebook movie,” as its themes are universal and definitely pretty relevant. Think of it more as a tragic character study about an incredibly young, smart, and troubled billionaire. Regardless of any mixed feelings you or I may have towards any of Fincher’s past movies (Fight Club, The Curious Case of Benjamin Button, etc. ), all of the “below the line” technical work, such as the cinematography, lighting, sound and visual effects, editing, blah blah blah, are always perfect. This is espcially true for the The Social Network. Everything just looks and sounds flawless the whole way through (the crew race comes to mind as one of the best examples). I wasn’t even aware until after I saw the film of all the incredible special effects work that went into it because of how seamlessly integrated everything is. As it turns out, the Winklevoss twins (the characters suing Facebook creator Mark Zuckerberg) were both played by Armie Hammer, at least sort of. Hammer would apparently always play the main twin in every scene while another actor would play the other twin, however Fincher would then digitally replace the other actor’s face with Hammer’s in post-production, similar to the effects work in Benjamin Button, where Fincher CGI’d Brad Pitt’s face onto a baby or an old man or something. Pretty amazing stuff. The score, done by Trent Reznor and Atticus Ross of Nine Inch Nails, is another stand-out for me. I’m not much of a fan of Nine Inch Nails thanks to Reznor’s vocals and, in my opinion, awful teenage emo lyrics, but the man can write haunting instrumental works. It’s a brilliant score and really propels the film to another level. But besides all of that, the film works because it’s such an interesting and current story and is so wonderfully told and acted. It’s an important movie that everyone in this Facebook generation should see. Also yes, Justin Timberlake can act, in fact he’s pretty good.